Hmmmm… I can’t find the program… but I do have pictures! Sadly they are a little blurry…. but I can totally tell Suzi by her wonderful hair cut! 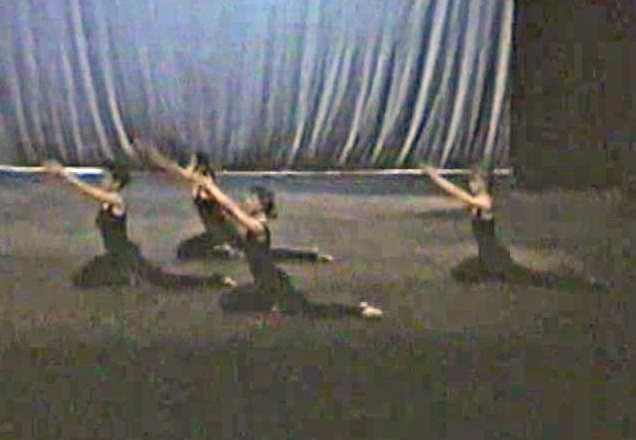 The eight dancers in this concert included Carol Ernst, Suzie Bulger, Teri Copeland, Lisa Duich, Shelagh Nugent, Gay Shelton, LeAnn Upton and myself. 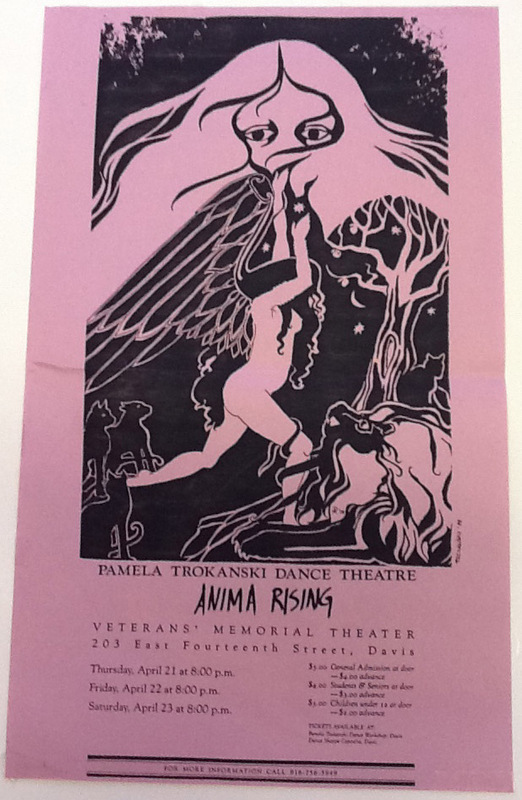 Anima Rising was another “thematically unified” evening work. The original prompt for this name came from a wonderful Joni Mitchell song with the line “Anima rising, uprising in me tonight, She’s a vengeful little Goddess with an ancient grudge to right.” If I remember correctly, and having watched the video, I set the work to a wide range of music including pieces by Andrea Vollenweider, maybe King Sunny Ade (I really wish I could find an old program!) Grand Master Flash & the Furious Five, and Peter Gabriel (I think). It also featured extra costuming created and sewn by dancer Teri Copeland, and yes, we still have them today! And yes, they will probably be on display at our 30th celebration activities. Choreography focused on creating different images of women being thoughtful, angry, introspective, powerful, and strong. One section utilizes sign language as a group to give a message… I’m really curious what the signing means, but it’s been so long since I’ve used sign language that I don’t remember enough to interpret it. One of our publicity shots! Taken in the studio at 911 Third, it featured (left to right) Shelagh, Carol, Teri, and Sophia. 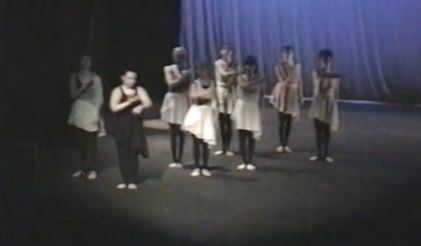 An early section of the dance. 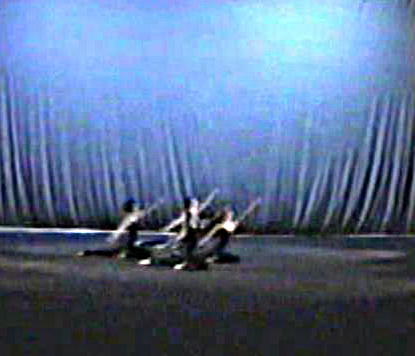 Carol… the opening section of the dance had individual dancers entering and exiting. This was hers. 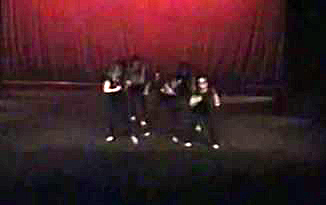 Another early section… a little blurry, but shows some of the choreography. The mysterious sign language section….